A man has been found guilty of the racially-aggravated harassment of an MP after sending anti-Semitic rants. Joshua Bonehill-Paine, 24, wrote five hate-filled blogs harassing Liverpool Wavertree MP Luciana Berger in 2014, a jury at the Old Bailey was told. Ms Berger told the court she “felt sick” and “very much under attack”. Bonehill-Paine, of Yeovil, Somerset, posted the articles after the jailing of fellow far-right extremist Garron Helm in October the same year. Helm, then 21, from Merseyside, had admitted sending a picture on Twitter depicting Ms Berger, 35, with a holocaust-era Star of David on her forehead and the hashtag “Hitler was right”. Over the next four months, Bonehill-Paine posted articles online calling her “an evil money-grabber” and claiming the number of Jewish Labour MPs was a “problem”. 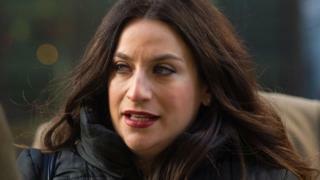 Speaking after the verdict, Ms Berger insisted racist abuse and harassment over the internet is a “horrific crime”. She said: “The protracted campaign of vitriol and hate had a deep impact on me and on the people around me – my family and my fantastic team. “If any good can come from this awful experience, I hope that it will send a strong signal to anyone experiencing harassment – you do not have to suffer in silence. Giving evidence, Ms Berger said she feared for her safety because “what happens online does not always stay online”. Bonehill-Paine’s conviction comes after neo-Nazi Thomas Mair, 53, was handed a whole life term at the same court for the murder of Labour MP Jo Cox. In July, another internet troll, John Nimmo, 28, from South Shields, was convicted of making a death threat against Ms Berger by saying she would “get it like Jo Cox”. During his trial, Bonehill-Paine was awaiting sentence for making claims on Twitter that several people were paedophiles. He is currently serving three years and four months in jail over a conviction in December last year for posting anti-Semitic material ahead of a planned neo-Nazi rally in Golders Green – home to many London-based Jews. Mr Justice Spencer said he would adjourn sentencing to consider an application for a criminal behaviour order. 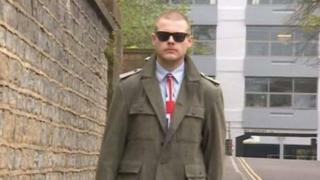 The maximum sentence for the racially aggravated offence is seven years.